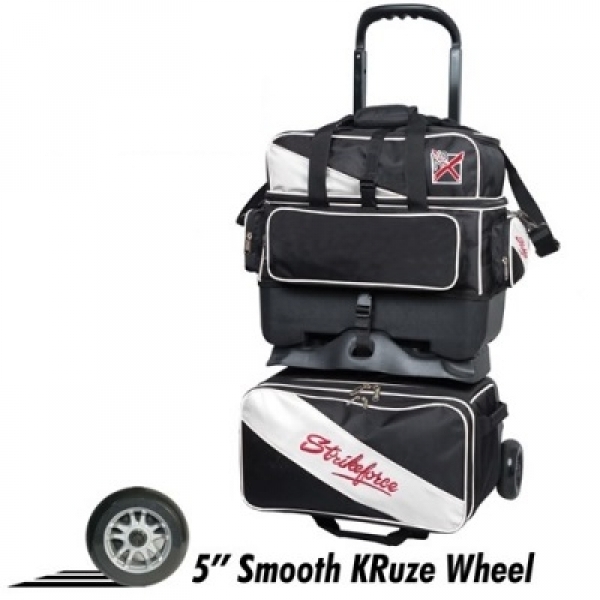 The Fast 4 Ball Roller from KR Strikeforce is a great priced and versatile bowling bag. You can easily carry 4 balls, shoes, and accessories, and you can even remove the top bag to be a fully functioning 2 ball tote! Plus this bag features 5" Smooth KRuze wheels for an ultra smooth ride.